Last edited by DK Pony; 07-26-2017 at 08:40 AM. I'd leave it at the dealer too. +1 on leaving it at the dealer. Are there a lot of Wranglers in the Carolinas? There are three in my yard. I think it was an ugly wrangler picture? Gone when I got here too. OK Here's the story behind this post. 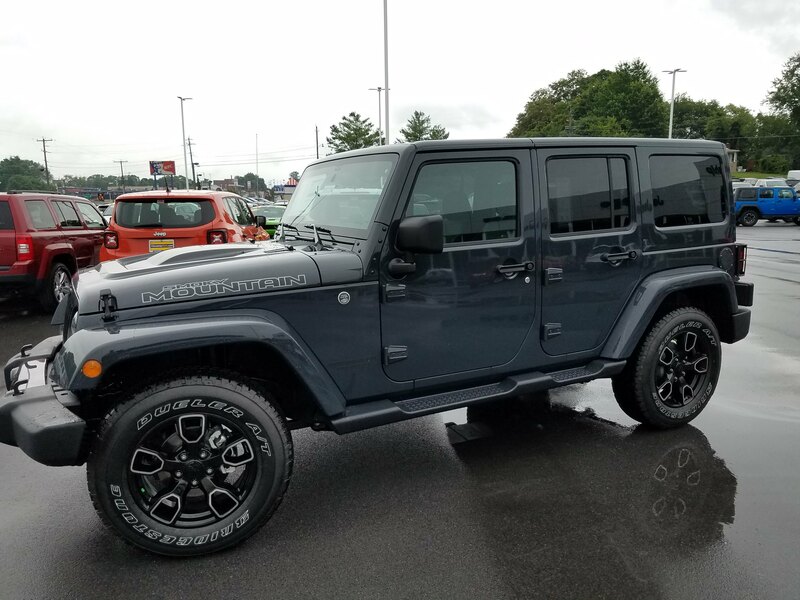 I walked into the local Jeep dealer and saw a Jeep Wrangler "Chief" edition which I liked, a lot. If you remember the 70's Cherokee Chief it was modeled after that. Photobucket has changed all of their stuff here lately and you aren't allowed to "3rd part host" on their site any more so i lost the original picture in the first post. 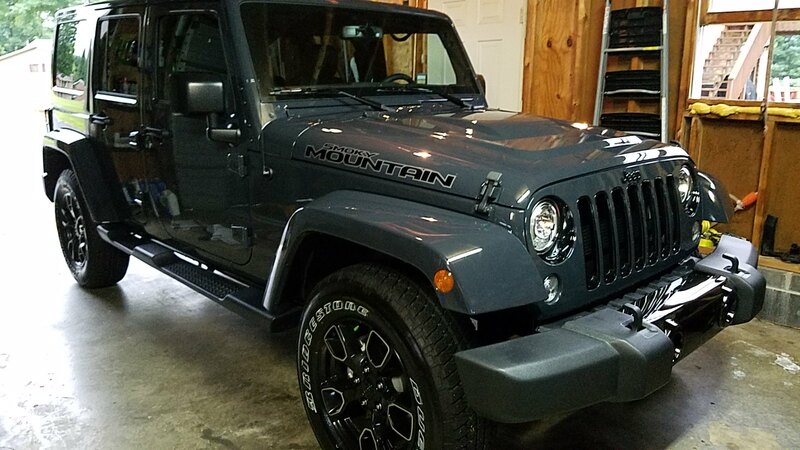 So in the end I ended up with a 2017 "Smoky Mountain" Edition Wrangler unlimited. It rained all day so the pics aren't that great. It's kind of a bluish gray. It's called "Rhino". Yeah I don't know where they come up with this stuff either. Sorry it's not a Mustang but I'm not buying a new one. Just can't do it. It's loaded with all the bells and whistles, Alpine stereo with Sub, leather etc. It also has 3:73 gears with a rear locker. Last edited by clowe1965; 08-04-2017 at 06:57 PM. Nice Jeep Dave, love the color.